Church, Temple & Mosque Commercial Painting & Renovation Specialists. Not just another building, Churches, Synagogues and Mosques are special places to their communities and worshipers. Several considerations make painting the inside and outside of these landmarks different from all others. From protecting priceless artifacts and sacred fixtures to erecting specialized scaffolding, strict procedures must be adhered to. Our detail craftsmen have years of experience and the attention to detail that is necessary to renovate your church. Plaster repair, gold leafing on decorative moulding, and mural painting are the extra touches that will turn the heads of your parishioners. High vaulted ceilings in intricate sanctuaries require temporary, specialized scaffolding systems that can be erected and disassembled around the building’s regular schedule. Other times, double shifts and round the clock painting to complete a project prior to weekend services is required. No matter what special challenges exist in your congregation Alpine has the organization, safety record, and experienced church painters to please you and your members. Every building has its own special character. High steeples, lead based paint, extensive wood repair and window glazing can all contribute to the special methods our skilled craftsman use to complete a safe, thorough and quality project. The people at Alpine Painting have developed specific job site protocols for religious facilities that limit inconvenience to visitors, and assure that only qualified, prescreened crews are on your site. Our firm works with interior designers and color consults to take that extra step to ensure you are satisfied you’re your next church renovation project. 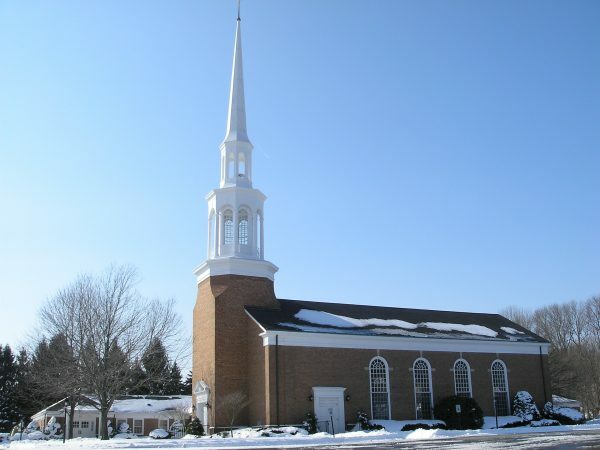 Contact Alpine today to get a detailed site evaluation from one of our church experts. St. Patricks Church, Newark, NJ Exterior Wood Restoration, Epoxy Filling and Painting. St. Mary's Church- 17 Pompton Ave, Pompton Lakes, NJ 07442 Interior Painting of Plaster Walls and Refinishing of Wood Beams.